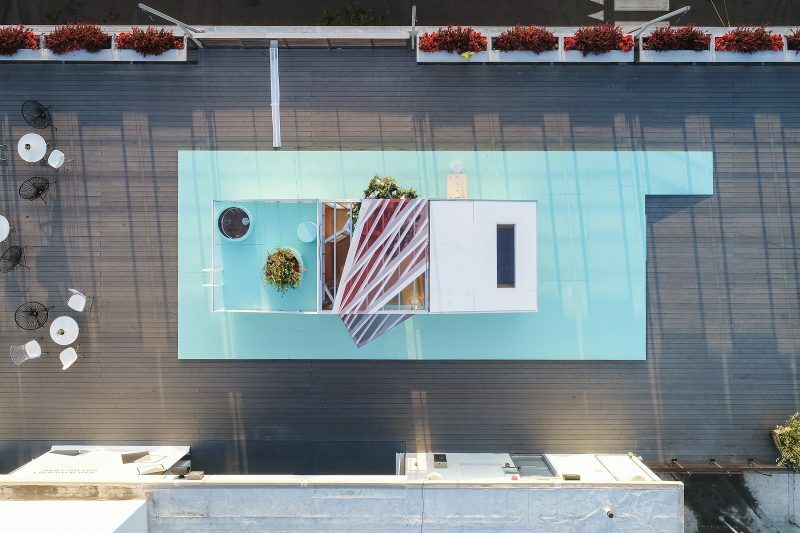 FreelandBuck was commissioned to design a new site-specific installation for MINI LIVING at the 2018 Los Angeles Design Festival. This is the third iteration of the MINI LIVING Urban Cabin project the car brand first launched in 2016, and will be the first of MINI’s commissioned installations to house overnight guests. The MINI LIVING program is meant to inspire conversation about new models for living in a more dense, compact and resource efficient world. 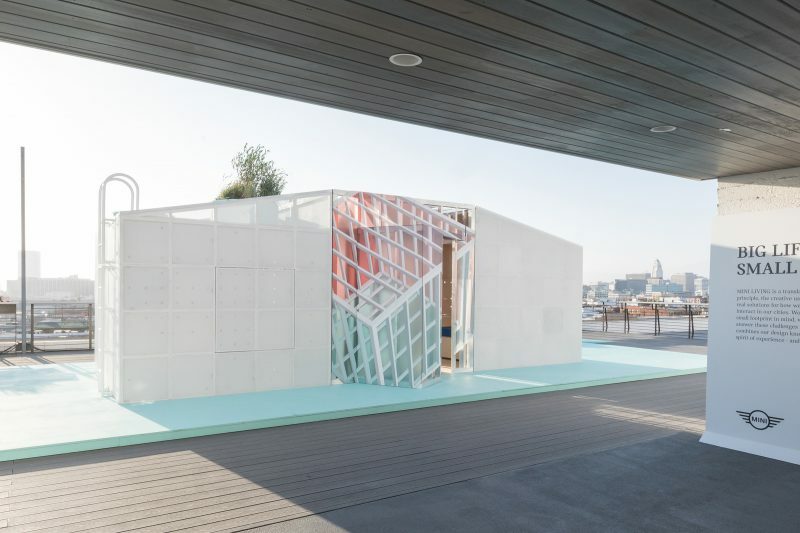 The Urban Cabin is a continuous installation project, a small living unit that travels to various locations across the world, reinvented for each city by local architects. Each prototype is designed with limited space and inspired by local surroundings, demonstrating creative approaches to the challenge of saving space while creating unique identities. 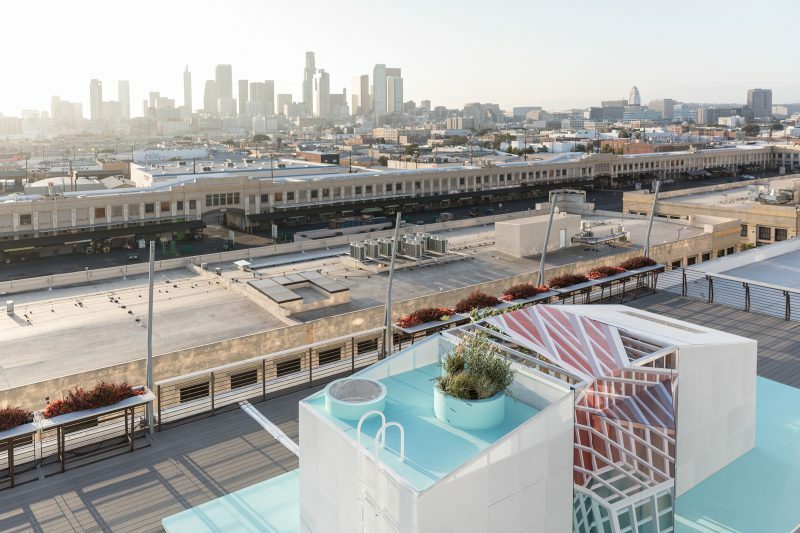 The Los Angeles Urban Cabin is formed by two pre-designed outer residential sections that flank a central ‘experience’ space designed by FreelandBuck. 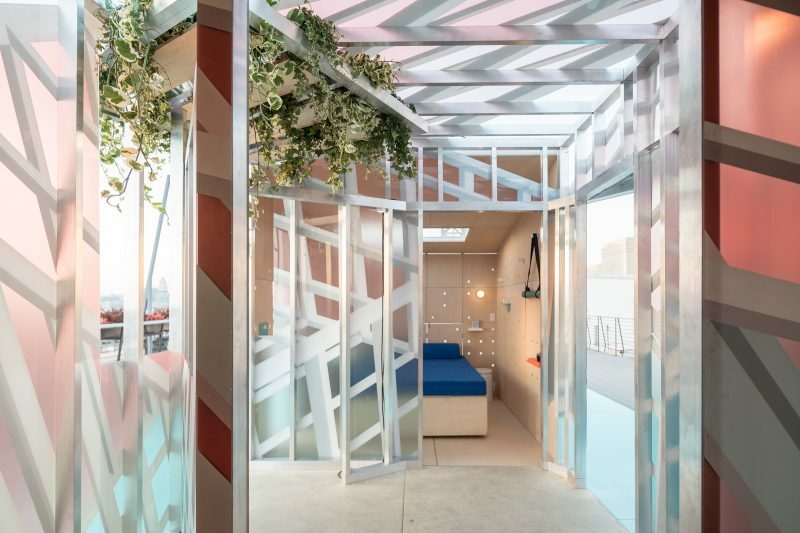 Though the micro-cabin as a residential type typically focuses on efficiency within a small space, the LA prototype expands the cabin’s domestic purpose to include a more public space which enhances collective experience rather than focusing on just the needs of one occupant. The adjacent rooms containing bedroom, kitchen, and bathroom open to FreelandBuck’s space, extending the perceptual boundaries and of these rooms and the contemplative potential of the living space. 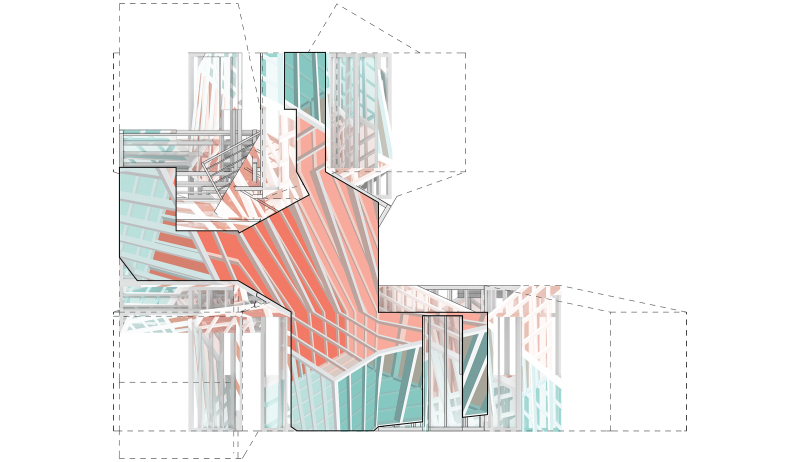 This presented a unique opportunity for FreelandBuck to focus on spatial effects and experimental material assemblies for the cabin. 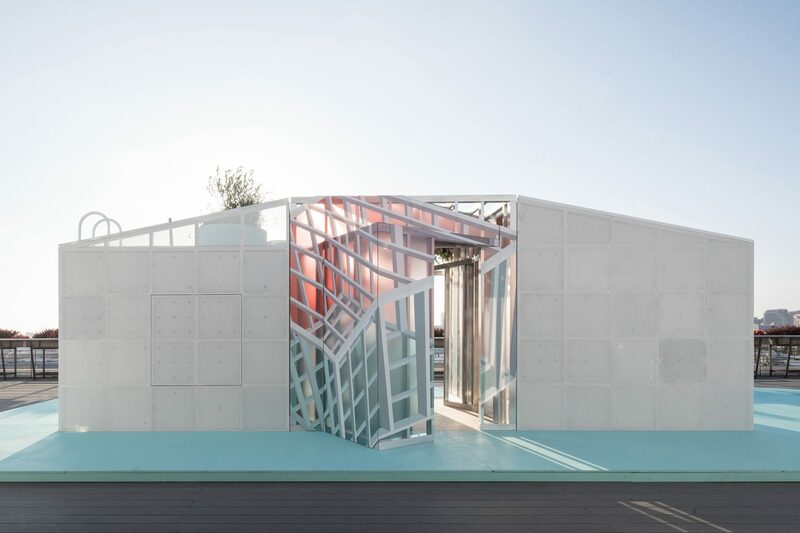 Two nested boxes constructed with aluminum framing are wrapped in translucent polycarbonate printed with a third box of graphic framing projected through the structure. The three-dimensional graphic surfaces vary between graphic alignment and kaleidoscopic effects as one moves around and through them. 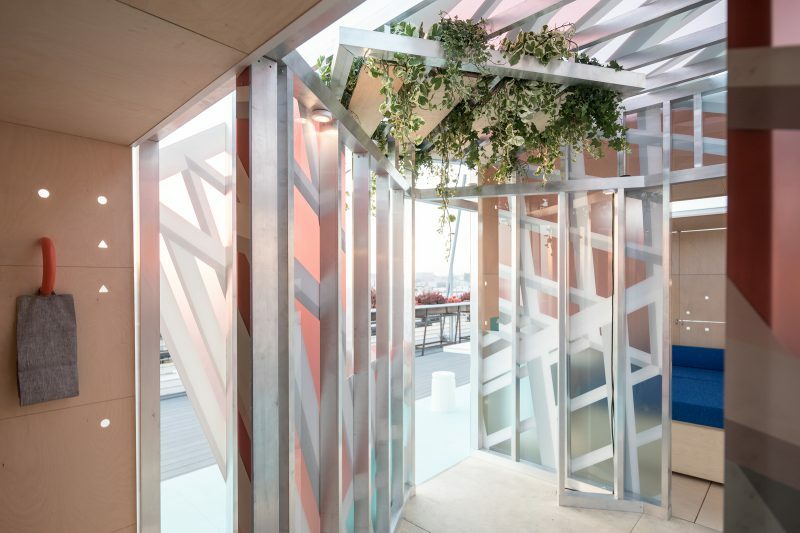 The indoor/outdoor quality created by the translucent skin is accentuated by a hanging garden which forms a another cubic volume suspended from the enclosure.